Two best-selling Huangshan Maofeng teas: the AAA grade is sublimely fragrant, while the A grade offers incredible value for money. Every morning, I devote the first 15 minutes of my day to tea. My favorite tea is green tea, but I haven't got time to wait for the water to cool. So I tend to brew it near boiling point. 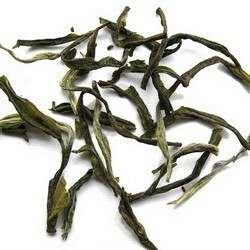 Now, popular opinion dictates that you should brew green tea at low temperature, otherwise it will turn bitter. Unfortunately, this advice only applies to low quality tea. 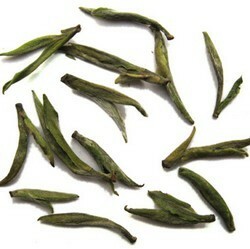 High quality teas can withstand high temperature better. They are easy to brew, and yield consistent quality with little efforts. Not only do both the A and AAA grades pass my "hot water" test brilliantly, they offer much more. For a long time, I searched for the perfect everyday tea, especially for those with a small budget. This A grade is by far the best I have found. And lots of customers are writing to tell me the same. The body is rich and fragrant. She is very pleasant to drink. When I brewed 2 grams in 8 ounces of water (250 milliliters), she easily lasts up to 5 infusions. A recently launched tea, the younger sister, the AAA grade, has the hallmarks of a high grade. Her taste is pure, rich and sublime. Its light yellow liquor shines with a luster, emanates a light floral that is uniquely Yellow Mountain. Like her older sister, she is grown in Fuxi, the birthplace of authentic Huangshan Maofeng tea. They are both produced by the pre-eminent company in Fuxi, and have been certified organic. Drinking this tea is a very charming experience: sweet and aromatic, though not multilayered – a pleasure to drink, easy to like, the opposite of an acquired taste. Hi Julian! The tea I received from you is excellent, thank you! Well, the Maofeng tea is of course 5 out of 5. I am drinking maofeng tea right now, brewed it as soon as came home from work, truly outstanding tea. The Maofeng is something of a surprise! The quality reminds me of a similarly priced Mao Jian I had a few years ago when first trying out Chinese teas, which I remember as buttery. This tea though is more reminiscent of a fresher tasting green of mid-high quality. Bitterness is hard to find, there is sweetness in abundance and some flowery aroma too. It is lacking the depth of flavor of, say, a Tai Ping Hou Kui, but for the price point I'm giving this a 5 out of 5.